Need direction? 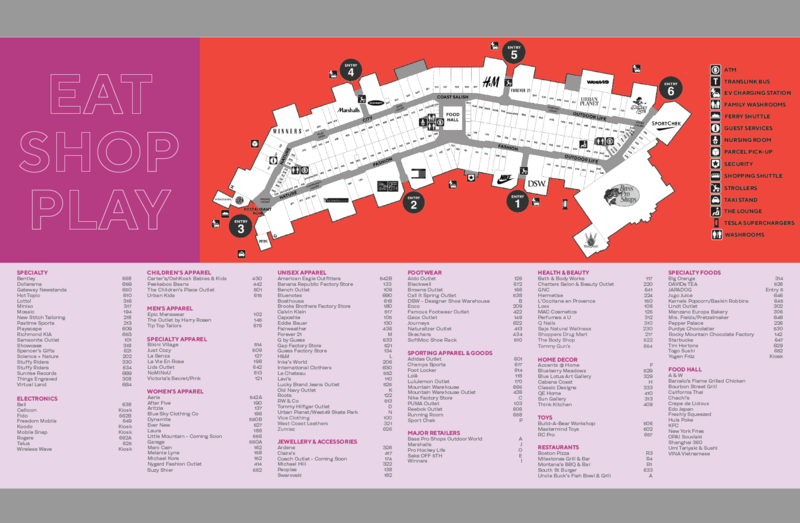 Visit Guest Services located next to Entrance 3 or click here for a printable copy of our directory. If you have too much to carry and would like the freedom to shop some more, you can drop off your parcels at Guest Services. We’ll store them securely while you shop. Once your shopping is complete, you can conveniently pick up your checked items from the comfort of your vehicle at Parcel Pick Up located at exterior Service Court 3D. 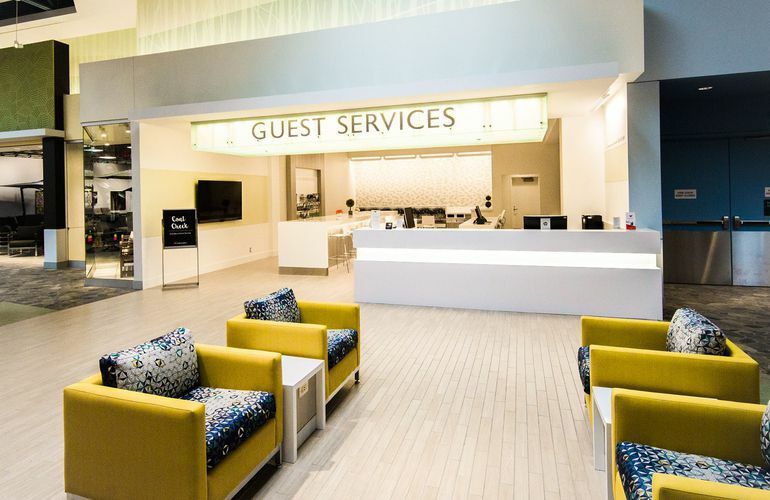 A Guest Services team mem­ber will deliver the checked items to your vehicle. There is no charge for this service. Cup holders to handle any drink size, including juice boxes. Service animals, including guide dogs, are permitted and welcome at Tsawwassen Mills. Pets, however, are not permitted in the shopping centre. Stay charged while you’re on the road. Visit the Tesla Supercharger Station located near Bass Pro in parking lot 1A. Superchargers provide Tesla vehicles with up to 270 kilometers of range in as little as 30 minutes. Available 24 hours a day, seven days a week complimentary!